In 2012 I published a piece titled Diary of a DNA Potentiator: How 528 Hertz Was Music to My Ears. This article detailed some of my experiences with a revolutionary sound-based “wholing” modality facilitating accelerated evolution called the Regenetics Method. At the time, I was still on my way through the Regenetics Method timeline, which consists of four distinct DNA activations. I had yet to receive the third activation, Elucidation, when the article went to print. I had performed the first activation (Potentiation) on September 12, 2011. Now, here nearing the end of 2014, I am able to speak retrospectively on the whole timeline, having completed the final stage, Transcension, which was initiated June 1, 2013, and ended by the first of March. The timing for completing the Regenetics Method was auspicious. March 1 was the same day I co-created Global Freedom Movement (GFM) with three close friends. This co-incidence is pertinent in the context of the Regenetics Method, for various reasons. One is that the duration of Potentiation, Elucidation and Transcension is nine months each, the same as the gestation period for a human fetus before it is born. Another reason is that Regenetics aligns you with your soul’s purpose/template for this life. Nine months after Transcension, with the gestation period for Global Freedom Movement complete, I along with three others birthed GFM precisely at the end point of this final DNA activation. That is how I know GFM is my “download” and that I am aligned with my soul’s template. One of the commonly reported effects of the Regenetics Method is the proliferation of synchronicity in people’s lives, accompanied by increasing abundance. When you are “in flow,” synchronicity becomes the norm rather than the exception. Part of my personal mission is to provide access to this abundance, and the peace it can help provide, on the largest scale possible. In Part 1 of this article series, I focused on the physical dimensions of this transformational process and commented on the alleviation of various physical maladies, including lingering soft tissue injuries and food allergies. 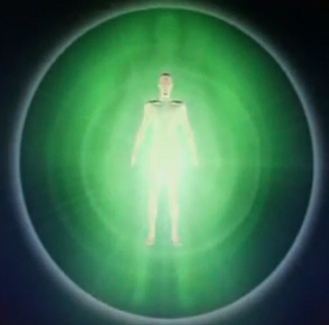 Potentiation, the first DNA activation in the Regenetics Method, focuses on the physical and etheric bodies (the etheric being the physical’s template). Of note here is that the term “DNA activation” tends to fixate attention on the physical domain, even though, in reality, that is where the least of the change occurs. 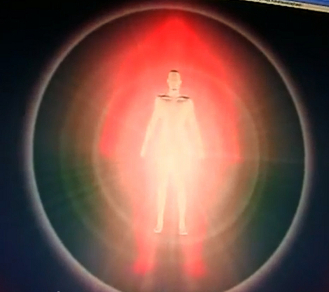 The forces we are working with to activate our kundalini reservoirs are the hyperdimensional torsion/scalar forces of “spirit” in the aether/vacuum. In this follow-up to my initial article, having experienced the entire four-part Regenetics Method and observed its profound effects in my life, as well as having further observation and research under my belt, I can speak more broadly on what occurs through this transformational healing technique. In a nutshell, by using the Solfeggio frequencies combined with certain vowel sequences intoned in a specific way, Regenetics helps us re-tune our subtle and physical bodies to the frequencies of love, health, higher consciousness, and abundance. This kind of frequency- and vowel-based DNA activation can be thought of as a “shamanic” healing technique that targets the malleability and mobility of non-coding (aka “junk”) DNA with the Solfeggio and human voice. Importantly, what separates us from the animal kingdom is this very non-coding DNA. The acid-base DNA coding for the physical structures of humans is very similar to that in the animal kingdom, whether we’re talking about fruit flies or butterflies. As humans we have an abundance of non-coding DNA—far more than our counterparts in the animal kingdom. This is crucial, because non-coding DNA appears to be the major genetic component for interfacing with our consciousness … and may account for why we have the kind of “advanced,” conceptual and individualized consciousness that is considered the hallmark of homo sapiens sapiens. In the early stages of my journey through the Regenetics Method, I was hoping to activate healing mechanisms in my DNA that were—I suspected—not functioning properly. It is worth noting that because everyone is different, it is impossible to predict exact outcomes for individuals. Intention, openness and positivity appear to be key factors in determining ultimate results. The most obvious effects for me were evident during the first (Potentiation) and fourth (Transcension) stages. More subtle changes occurred in the second activation, Articulation, and some small yet compelling personality alterations developed in the third activation (Elucidation). In contrast to my early experiences with Regenetics, one of my close friends experienced relatively little, physically speaking, during Potentiation, but received immediate and profound impact from the second activation, Articulation. Since [Articulation], my general thinking—which was a mess and a “monkey mind”—is now CURED. This for me was nothing short of a miracle. I would go in circles in my mind and achieve nothing except self-destruction. I am now able to hold focus and organise myself, my surroundings, and my life better. I have let go of caring what people think and finally found my purpose in life. 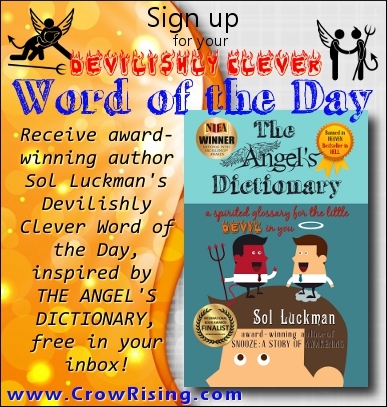 The inner turmoil I have suffered my whole life became very clear to me: I was doing this to myself; I knew no other way. I was heading down a path that was making me miserable and killing me because I was listening to other people instead of myself, something I did my whole life. I have now started to make decisions on my own and people’s opinions don’t matter any longer … I am a lot happier and have found my calling … Before the DNA activation I was attracting the wrong people into my life … because I didn’t care about myself. [Articulation] has enabled me to love myself on ALL LEVELS [and] to change my inner world. I have started to attract the right kinds of people into my life … [who] are going to help propel me forward in the direction I was always meant to go down and who are in alignment with my now peaceful inner state. My drive for life and wanting to live again has come about 180°. My need for attachment, the outcome and control has gone and I am now OK with whatever will be. I’m finally free. This individual, unlike myself, was an ideal test case for the Articulation phase due to the chronically scattered, circular and self-defeating thought patterns that typified her mental (and resultantly, emotional) state. Frankly, I didn’t expect such a pronounced and immediate transformation—but it was undeniable. 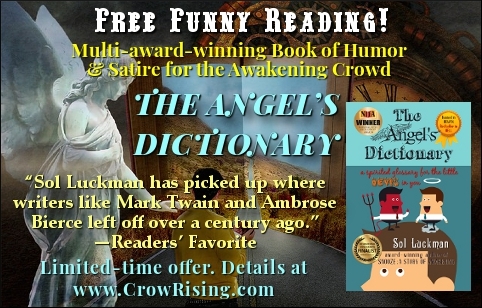 In subsequent communications, it became apparent my friend was increasingly able to tap into her own inner wisdom, knowing, and insight. Her chronically inflamed victim mentality—a companion for decades—was virtually nowhere to be found. I was speaking to a new person. The point I would emphasize is that, while remedial effects are easily observed, the bigger picture invites us to notice that even the early stages of the Regenetics Method are capable of facilitating accelerated, conscious spiritual evolution. According to Luckman, this is due to the descent of another vortex that is found above the head and is not technically supposed to be there (as opposed to the other chakras that are). During Potentiation this superfluous chakra actually descends and “fuses” with the sacral chakra, correcting the systemic energy malfunction. It is my personal belief that this dysfunction resulted from genetic tampering with the human genome by “creator gods” between roughly 350,000 and 500,000 years ago. This possible tampering with our genes was designed to create a slave species for mining gold as detailed in the Sumerian texts as well as by Zulu shaman Credo Mutwa, Zecharia Sitchin, Michael Tellinger, and others. Figure 2: The Fragmentary Body and the ninth chakra that descends and fuses with it. 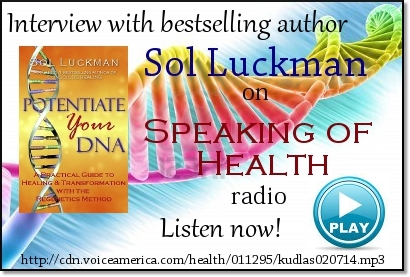 Courtesy Sol Luckman, POTENTIATE YOUR DNA. One of the more interesting “symptoms” of someone undergoing correction in the sacral chakra is a readily apparent, increasing intolerance of performing tasks that are not in alignment with one’s sacred calling. Suddenly, people develop the capacity to say “no” and step away from jobs or activities that are experienced as irrelevant, laborious, or “soul-crushing,” and do not reflect who they really are. 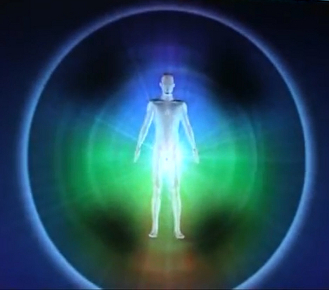 When the bioenergy supply at the base of the spine (kundalini) is free to move up beyond the root and sacral chakras (concerned with biosurvival and species propagation), people begin to experience deepened self-awareness and evolve beyond survival mode and fight-or-flight forms of conscious expression. Concurrently, such people are less willing to suffer the indignity of sacrificing themselves merely for the gain of an ersatz master (say, a boss at work) merely to survive. Sealing the slavery yoke converts slaves into sovereigns—or, at least, powerfully initiates this transformation, pushing people towards deeper self-realization in the real world beyond the conceptual level. 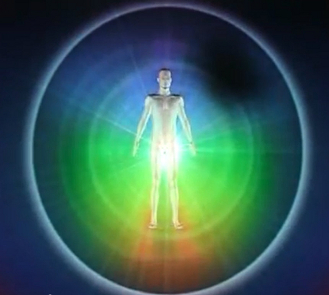 The rising of kundalini, coupled with the descending “galactic” energy pouring in through the crown chakra, brings intelligent life force energy into the prefrontal lobes of the brain (to say nothing of the primary chakras of the body), activating them to a fuller extent, probably utilizing the non-coding DNA which is abundant in the brain. Two additional points regarding the Fragmentary Body are worth considering in this context. First, sealing the Fragmentary Body helps cut off the energy supply of etheric and other parasites, making them more vulnerable to therapeutic intervention or even expelling them outright. This leads to, according to various reports, physical parasites actually leaving the body! Secondly, Luckman estimates that he has seen or been told by clients of at least 100 cases of etheric parasites being recognized and/or being expelling through Potentiation. Such energy parasites can be viewed using Harry Oldfield’s PIP technology and variations of it. 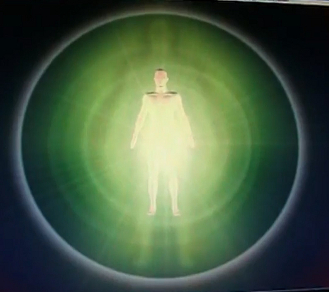 Etheric parasites come in various forms and have been called grey aliens, reptilians, Archons, and many other names. My experience with Regenetics DNA activations is that life becomes increasingly effortless as the timeline progresses. This continues to be the case, even though I have moved beyond the final nine-month Transcension phase. The ongoing centering of one’s locus of awareness in the heart, as well as the accompanying frontal lobe activation, gradually makes getting stressed out, frustrated or irate harder to do—and certainly more difficult to sustain. Grace and peace have a way of becoming the new normal. This naturally facilitates an enhanced sense of interconnection with the people and environment around us. Importantly, sealing of the Fragmentary Body and ending the slavery yoke makes for a diminished proclivity towards slavish thought and betrayal of one’s higher purpose. Perhaps above all, activating your kundalini and non-coding DNA can engineer your reality synchronistically such that the currents of life flow you into living your soul’s purpose. Knowing your purpose—especially as a “big thinker”—can be very frustrating if you are “unactivated” and thus blocked at every turn. Thanks in large measure to the Regenetics Method, my life now is a tapestry of synchronicity, and the network of incredible supporters and collaborators I have gathered around me is awe-inspiring. The SCIO (Scientific Consciousness Interface Operations System) is a universal electrophysiological biofeedback system. It coordinates a complex electro-modal, biofeedback program with computer software in order to gather bioenergetic information about the client’s subconscious. The information is gathered from the body through electrodes in head and limb straps providing an accurate and precise picture of the client’s general status. This information is selected and listed by the SCIO in order of the highest reaction and the stressors are analysed in the course of a stress management session. 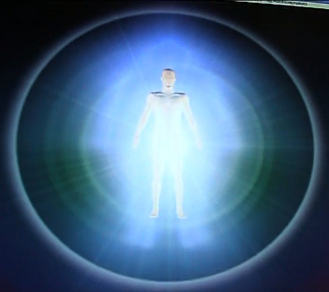 While these images are suggestive, I wish to point out that they are not necessarily definitive, since they are not direct images of the human aura/biofield. I intend to carry out more structured longitudinal research using multiple scanning systems in conjunction with talented clairvoyants to better ascertain what the quantifiable and qualitative effects of these DNA activations are in the long run. 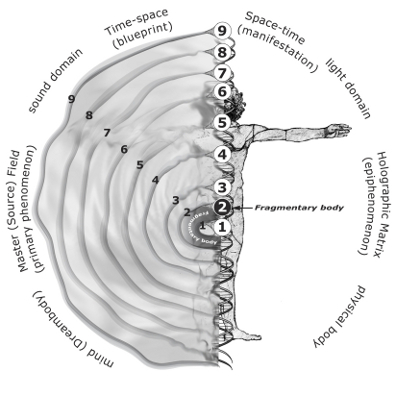 Perhaps, after seeing Nagy’s images, the reader will understand how I was able to experience the subtle but powerful enhancement of consciousness I did through this timeline, while in my first article, I spoke mainly about physical changes. On March 28, 2013, nearly nine months after Elucidation, I wrote that my ex-partner and I had begun the process of separating that would ultimately see me relocate back to Sydney. The fact that we cared about each other made it hard enough, but our having a puppy made it so much worse. Our intelligent little dog was my best friend. An insight on operating from a more heart-oriented place: being more heart-oriented can mean listening to the wants and needs of your OWN heart! What do you TRULY want and desire in the depths of your being? This observation has allowed me to make a lot of sense of what I see occurring in the restructuring of people’s lives after I potentiate them. This system seems to return people to their soul’s blueprint for this life, allowing them to flow in their purpose. It definitely happened with me. Ten days after the above journal entry, I was back in Sydney and the breakup was complete—though working through the emotional aftermath would take time. As is so often the case, the things from which I gained the most were the most difficult to face. One such event, triggered by an American acquaintance, gave me pause to ponder relationships and personal power. Of utmost importance when it eventually registered in my mind was the connection between kundalini and will. I wrote of “seeing how strongly tied in [kundalini] is with personal power, and the ability to assert one’s WILL in the body and world.” These DNA activations are, after all, kundalini activations. I have to conclude that Regenetics is far more than a healing technique; it is a revolutionary system for transformation and self-evolution. Over a 27-month timeline, it upgrades the individual on every primary level, leaving one at a point of health and conscious awareness not previously experienced. One of the best things about this Method is that, often, little to no effort is involved. Regenetics represents a step toward transcending the paradigm of “no pain, no gain” and creating one of grace, flow, and allowing. Does this not fit the concept of a more evolved state of consciousness? [W]hat a journey it has been! A recent chakra scan with a humble bell-like device called an acoustic scanner revealed no distortions in any of my major chakra centres. Out of the six or seven of us who were scanned, I was the only one present with no [acoustically] discernable distortions, and not coincidentally, I was the only member of the group to have done any of the Regenetics Method (RM) activations. Some of the others had used Template activations, but they all showed dissonance/distortion in at least one energy center. As far as I have seen to date, there is nothing to match the Regenetics Method. Stay tuned for the progress and results of longitudinal research projects I am initiating to monitor the state and development of the auric fields and chakras through the four stages of the Regenetics timeline.